We don’t often interview writers at The Citron Review, but on occasion, we can’t pass up the opportunity to showcase a particular work or author. This is such a case, as one of our previous contributors has recently released her debut novel, Harrowgate, a chilling, richly detailed story of love, loss, and the haunted place that lies between. 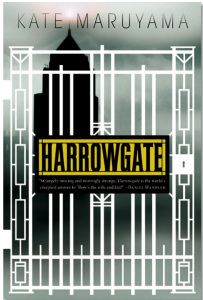 Harrowgate is the story of Michael, a man who should be overjoyed by the birth of his son, but his wife, Sarah won’t let him touch the baby or allow anyone to visit. Greta, an intrusive, sinister doula has wormed her way into their lives, driving a wedge between Michael and his family. Every time he leaves the Harrowgate, he returns to find his beloved wife and baby altered. He feels his family slipping away and, as a malevolent force begins to creep in, Michael does what any new father would do—he fights to keep his family together. Kate agreed to have a nice casual chat with me, via our computers, to discuss her haunting novel, writing and what is means to be a frightened or desperate parent. HL: How did Harrowgate come to life for you? Was it a fully formed idea from the beginning or did it originate from something smaller? KM: This is probably the most strung-out piece I’ve ever worked on. I wrote a really terrible screenplay back in the late nineties in which the punchline was – along the lines of The Sixth Sense – but they’re really dead! It wasn’t working. At one point I even put in a motorcycle gang to pump up the scares. I had this love story and had to put a motorcycle gang in to scare the audience. Clearly I was missing something. But something about the story–the last five pages or so–really stuck with me. That was one script I mourned after putting it down. Twelve years later, the story came back to me in a scene (the rotting vegetable scene, for those readers who’ve read it – I won’t give more away than that.) So I began the story where Michael, the main character, realizes his wife and child are dead (this happens in about chapter four, but the reader learns of it in chapter two, so it’s not exactly a spoiler.) What next? What would you do if your spouse and child who were otherwise not supposed to be there had an opportunity to hang out? Neal Bonser, one of my workshop mates in grad school said, “When this kind of tragedy happens, you can’t just stop people from coming over, they come. They bring casseroles.” And in there I found the key to proceeding. How to keep the world out? How can Michael keep his family together? What happens when practicalities arise like family and neighbors and funerals? HL: I love that you mention how the book came to life for you through the lens of parenthood. There are many aspects of being a parent that you frame through this supernatural lens. One that really stood out to me was in the section where Sarah is trapped in the dark with a two year old and she’s feeling so frustrated because there aren’t any grownups to talk to and she only knows a handful of nursery rhymes. She can’t even get her son to pay attention to a story because he is still too young and any time she tries, he wanders off. To me that whole scene spoke to me as a mother. Of course most mothers have experienced the mental exhaustion of trying to entertain a two year old, but this scene spoke to me on a larger, deeper level. Sarah may be in a supernatural world but her feelings of isolation in motherhood were really relatable to me. Was it your intention to work within these deeper themes or was Sarah’s experiences in the novel something that arrived more organically from you? How much of Sarah is born from your own personal emotions or fears? KM: Ha! I just did that scene at a reading and the same thing struck me, “Oh, this is about actual motherhood.” Sure they’re trapped in a supernatural netherworld, but that feeling of isolation I think comes to all primary caretakers of small children. Sarah’s experiences are common for all parents, they’re just blown up a little bit by circumstance. The way the book progressed was definitely organic, but I knew while I was writing it that I could mine my own experiences as a new parent. Newborns are horrifying and my first newborn was colicky (translation: wouldn’t stop crying) which accounted for all of the feelings of isolation in parenting that are totally enhanced and skewed into weirdness by sleep deprivation. But in later drafts, as themes emerged on their own, I could tease them to the surface. I’m hoping that questions of the sea change motherhood brings on – especially for a working mother – that these are raised. I guess in a larger sense, the book is about all we give up or gain when we fall in love and join our lives with someone else, and how that changes further when a kid comes into a picture. It’s a constant rebalancing. KM: Michael came from Michael’s head, as many characters do. I have a lot of dad friends as well as mom friends and I’ve asked them as many questions about parenting as I have the moms. So that helplessness, particularly when the mother is nursing, was something I could draw on. But I have to say, a lot of Michael’s insecurities sprang from my own. My husband had the dad thing down the first day our boy came into the world, like he was born to it. For me, it was a sharp and moderately terrifying learning curve. I got better at it but those first months—yikes! HL: I can’t help but wonder if you ever contemplated how this novel would look if the gender roles were reversed? Being a woman I often read a scene and asked myself, would I react the same way? Would I make the same decisions? What made you choose Michael as the survivor, other than the obvious answer that Sarah dies in childbirth? KM: As Michael came to me first, he had to be the one bereft, so that is where the roles were chosen. Sarah’s voice didn’t come to me until later, at the very wise recommendation of my mentor, Rob Roberge. The dual points of view made the story much more interesting. I think if it were the mother who lived, it would likely be a whole different ballgame with different questions, but I’m guessing I’d have to write it to find out. HL: Even though we’ve been talking about Michael and Sarah as parents and how Michael’s love for his family is the motivating force behind much of this novel, I have to admit I was really drawn in by the darker side of this story. I find it really interesting that the sinister forces at work in these pages can only exist because of the love Michael has for his wife and son. The evil feeds on it and uses it to force Michael into some very gray areas. I love the moral complexity of Michael. He is both a this hero figure and someone who lets his love cloud his judgment. Since the ending is really dependent on Michael’s moral compass, did you ever imagine a different final chapter for this family? KM: The ending was clear to me when I started writing the book. I’ve had so many reactions to the ending, people wanted a bigger showdown, maybe: fireworks and flying doulas. But, without giving anything away, I made the ending as true to the characters and as true to Michael and Sarah’s relationship as I could make it. It was inevitable and sudden, as so many things are in real life. But Michael’s moral compass was something I could play with in ensuing drafts. Love, real love, can make us better people, but it can also make us desperate and clingy and nuts and often, blinded by it, we can make crazy choices. I see parents make totally crazy decisions about their kids based in that love, and they seem sudden and rash and sometimes not very smart long-term, but no one knows crazy like a parent worried about a child or trying to protect a child. I hope readers will sympathize with Michael’s decisions while being equally horrified by them. HL: Just so you know, I reacted to Michael’s decisions just as you hoped; I was completely on his side and at times wanted to scream at him (but completely out of love). On this topic of moral gray areas, I noticed that while this story gives us death, good vs. evil, the afterlife, etc., you didn’t rely on many of the religious tropes we often see in the horror genre. The part religion plays in this books seems much more subtle and domestic in nature, rather than predictable. Was it a conscious decision on your part to show more the quiet nature of religion or was it something just that didn’t find a natural place in your narrative? KM: Michael’s agnostic, which I think works for him and his doubt and what he encounters. Sarah’s Protestant. I think of the story as pretty strongly entrenched in my Catholic upbringing, in which the afterlife, life, good vs. evil, and an openness to the idea of ghosts come into play. But my religious upbringing defined the tone rather than the story itself. There wasn’t room for a meddling nun or a priest here. I had a lot of fun playing with the rhythm of the Protestant Book of Common Prayer for the funeral scene—that ceremony is heavy, rhythmic, filled with congregational response and quite somber, which plays well for drama. The Catholic ceremony is much shorter. I remember going to a Protestant funeral as a child- an acquaintance of my parents – and bursting into tears over the certainty something big and awful was happening. I think if Michael had strong areligious beliefs he’d immediately go to the unholiness of having his wife and kid around after they’re dead. He had to be agnostic and acting from that raw, human defend-the-family place for it to work. I never thought of it as a religious, but I did stay away from specific terminology, because my favorite part in a horror story is when you don’t know quite what you’re dealing with. Because there is evil in the world that is undefinable. I could have had Dr. James get out a book and create an elaborate history for Greta and definition coming from the middle ages, but instead I leave the reader to come to their own conclusions. Peter Straub was genius with this in Ghost Story, because at the end of any story, the definition and categorization of the evil is not as is not as important as how it wrecks the lives it touches. And how we are all a little bit culpable for letting our guard down and letting it in. HL: You mentioned earlier that some readers wanted a different ending, something bigger maybe then what you felt, as the writer, the story dictated. If I had to guess why, I would venture that even though this book has been classified as “Horror” it certainly doesn’t fit too neatly in that genre. I could argue that it fits in several different sub genres of horror (gothic, psychological, dark suspense), but as I said earlier, I think an argument could be made that it is also a love story, a story of grief and loss. So on one hand we have a story about ghosts and evil forces and the other we have a man’s deep emotional struggle with the death of his wife and child. KM: I had to laugh, one Amazon reader’s review title read, as in warning: “NOT a horror!” What’s nice is that the only negative reactions to the book seem to be more about the horror shopper not getting what they were after when they picked the book up than about the story itself. People who like the story seem to like the book itself, but those looking for a totally different book, perhaps because of its classification, were disappointed. But as a writer, I can’t help the marketplace. My publishing team at 47North did amazing work at marketing the book where it would get the most readers, tagging it across genres (ghosts, horror, thriller, literary, etc…) so I can only be deeply grateful they gave it a shot in the first place, especially as it was hard to classify. As to a reader following, I think that’s mostly guesswork. My next book, now at auction, is a literary family drama that starts in 1940s Hollywood where a seamstress for Edith Head falls in love with a woman and makes decisions that have repercussions through three generations of her family. It’s not a horror story or even a ghost story (although I believe we are all haunted in some way by our past), but I’m hoping it will find readers of its own. Most of my work tends to examine questions of love, its limitations, when it doesn’t work. I am currently entertaining another horror idea – I’ve only had it in for tea and cookies and it’s looking attractive, we’ll see where it goes. HL: In addition to being a writer, I know you are also spend your time teaching writing and leading workshops for writers. With your debut novel just published, what advice would you give the writer who is just beginning their journey toward publication? KM: When you’ve done everything you can (sent out queries, submitted, sent drafts off to the requisite people, written and revised, revised, revised,) forget about that journey and keep writing. Go out, see friends. Support your fellow writers, go to readings, buy books, read. Keep writing. The publishing world is so completely out of your control and requires so much waiting that if you turn waiting into an activity you’ll kill yourself with stress and anticipation. But if you go back to work, write more, immerse yourself in your life, things will still find a way of moving along. And, after a completely unspecified amount of time, an unspecified variety of stuff will start to happen. And usually that stuff is nothing like you imagined when you started the journey in the first place, so why waste energy speculating? 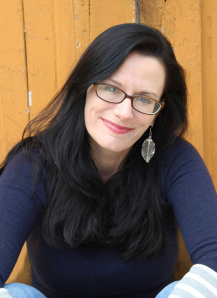 Her fiction has been published in Arcadia Magazine, Controlled Burn, Stoneboat and on Role Reboot, Gemini Magazine, Salon, The Rumpus and The Citron Review, among others. You can peruse some of these pieces on the Writings page of her website.